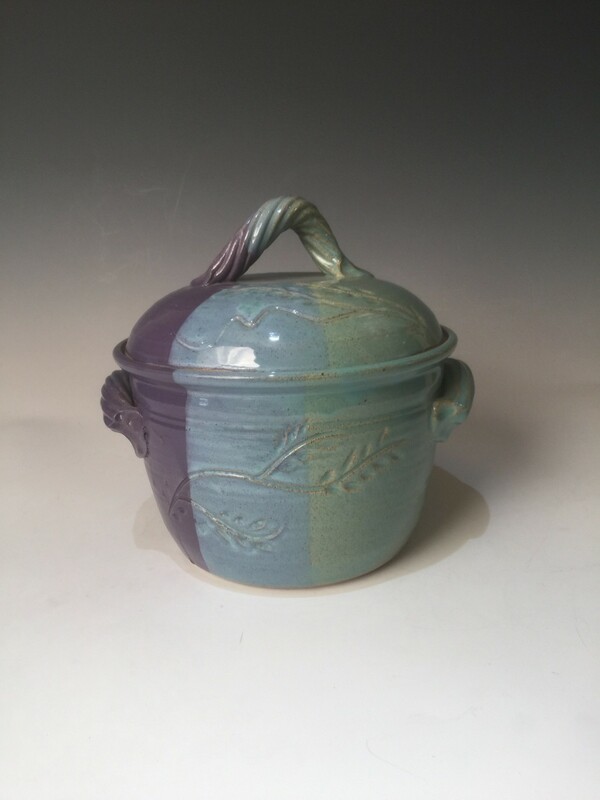 Our hand turned Chili Pot in high fire glaze pattern is wonderful for soups, stews and chili. It is crafted from our stoneware and can last a lifetime. The handles make it easy to transport and the lid keeps the heat in. This large Chili Pot is 9 inches tall with lid. 6 inches deep without lid and measures 7 inches across the opening. It holds about 1 gallon. Durable, versatile, and beautiful on your table. All Miracle Pottery is signed first with a cross in thanks to our Lord. It is also a prayer that the receiver be forever Blessed.